Hayatt also likes green. 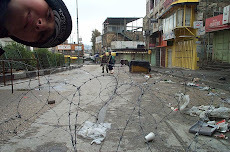 They cannot build parks of plant trees in the camp, so they can only grow the green in pots and hope that they can collect enough water to keep them alive. 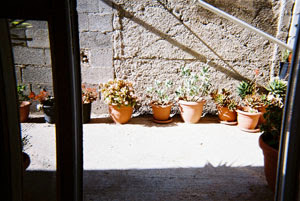 These are her plants outside of her home. 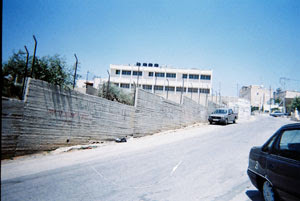 The street is a main road that enters into Adyah camp. 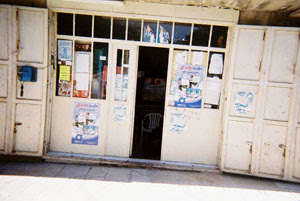 This is a store inside of Adyah camp. 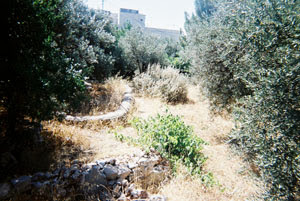 This is a garden that is turning brown, outside of Adyah camp.